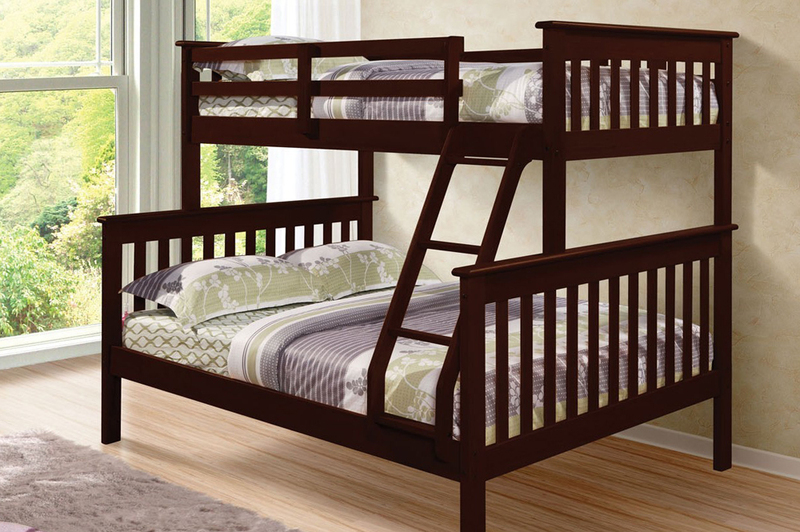 This twin over double bunk bed will make a practical addition to your home. 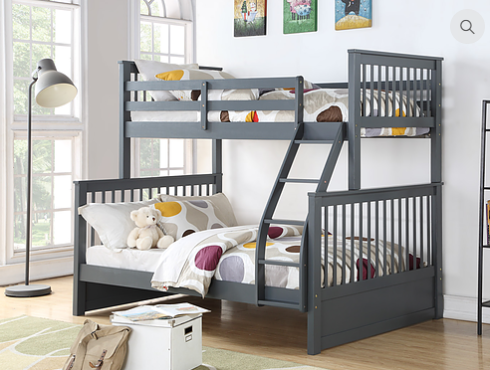 Full length guardrails offer safety, while the co-ordinating ladder will conveniently lead you to the top bunk. Clean lines and pine solids bathed in your choice of rich espresso or white finish. 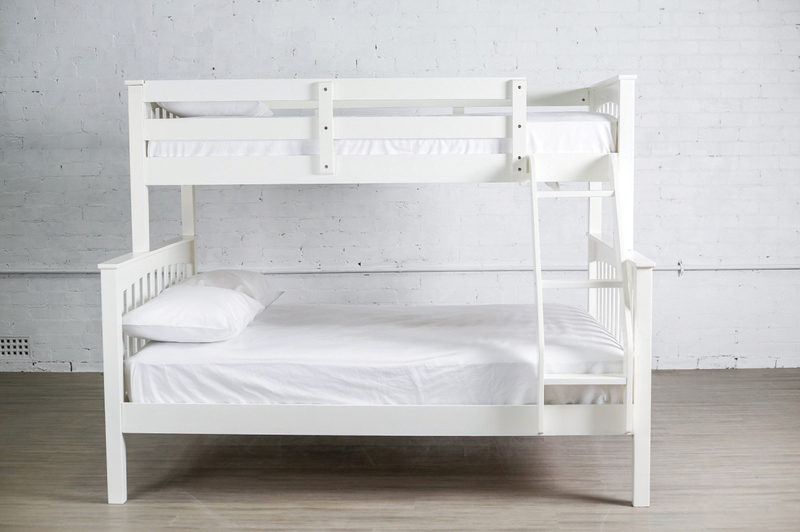 Splitable, into two beds. 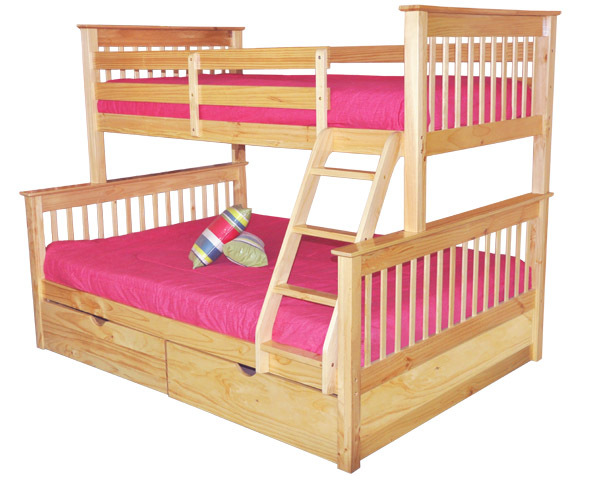 Can be separated into one Twin (Single) and one Full (Double) size bed. The staircase can be set up on either the left or right side. 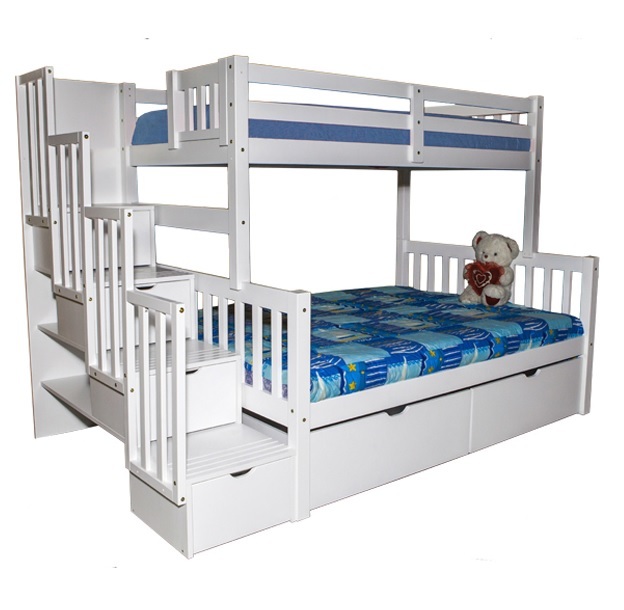 Clearance space between slats – 37″. 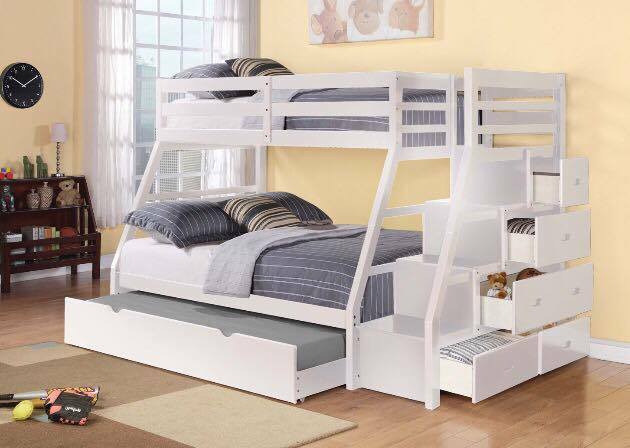 Built in drawers into staircase for easy climb and extra storage. 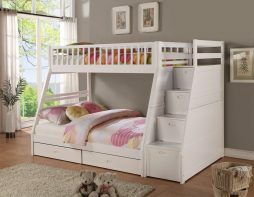 Under Bed Storage Drawers / Trundle available.